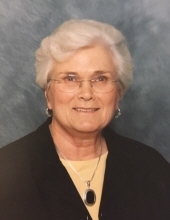 WAKE FOREST: Juanita Lunsford, 83, died Tuesday, October 16, 2018, at WakeMed Raleigh Hospital. She was born in Person Co, the daughter of the late Hubert Granville Oakley and Willie Jones Oakley. She was preceded in death by her husband, Lewis Crockett Lunsford. Mrs. Lunsford was a member of Durham Memorial Baptist Church. Mrs. Lunsford is survived by her sons, Percy Lunsford and wife Vivien, Steven Todd Lunsford and wife Cynthia, Louis Craig Lunsford; grandchildren, Kyle Duran Lunsford, Hannah Grace Lunsford, Leah Marie Lunsford and sister, Arnese Dillehay. A funeral service will be held 12 pm, Saturday, October 20, at Durham Memorial Baptist Church with Rev. Ed Denton officiating. Burial will follow at Oak Grove Memorial Gardens. The family will receive friends prior to the service from 10:30 am to 12 pm, at the church. To send flowers or a remembrance gift to the family of Juanita Lunsford, please visit our Tribute Store. "Email Address" would like to share the life celebration of Juanita Lunsford. Click on the "link" to go to share a favorite memory or leave a condolence message for the family.